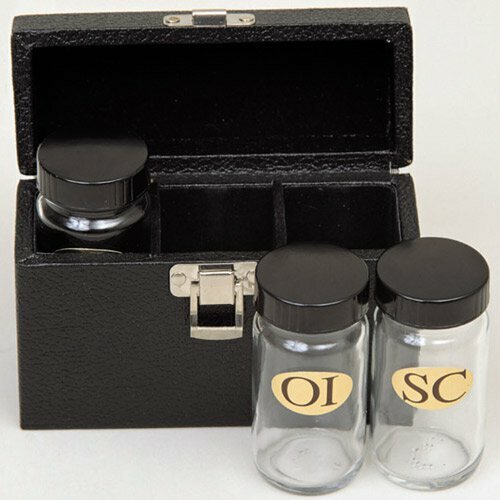 This Sacristy oil set features three glass containers with leak-proof caps. Each glass bottle in the set holds approx. 2 oz and is marked with OI (Oil of the Sick), SC (Holy Chrism) and OS (Oil of the Catechumens), and is stored securely in convenient carrying case.